The 'Moonlight' star says his friendships with other Black men in the industry helped him overcome insecurity about not being good enough. In Hollywood, it pays to surround yourself with good people. 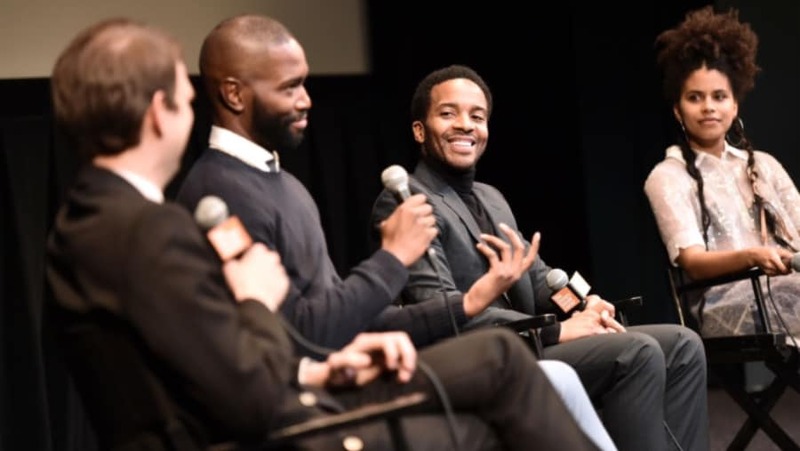 Actor Andre Holland, who starred in the award-winning movie Moonlight says he still keeps in touch with the movie’s original playwright Tarell Alvin McCraney, via group chat. The squad also includes our favs like Sterling K. Brown (This Is Us) and Brian Tyree Henry (Atlanta). Holland credits these Black men with being positive and inspiring influences, who have pushed him to grow through the ups and downs of the industry and life. Holland met McCraney when they were graduate students at NYU and McCraney cast him in one of his first plays Wig Out. 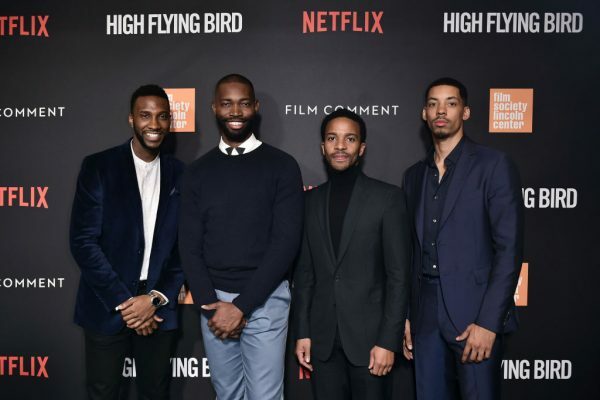 Now they are living out their dreams on the big screen, teaming up again for another collaboration, High Flying Bird, an enticing basketball drama on Netflix, about the power of Black athletes and agents to outsmart the limits in their industry. The movie also stars Sonja Sohn (The Chi, The Wire) and Zazie Beets (Atlanta). To add to its revolutionary appeal, the entire movie was shot on an iPhone 8– that’s right, a cell phone. Despite having helped ‘Moonlight’ win an Academy Award, Holland, 39, who is originally from the small town of Bessemer, AL, still struggles with imposter syndrome. He says some of the micro-aggressions and racism he experienced growing up, impact him today. “As an actor I tend to be attracted to things that allow me to like try and unpick some of the some of the behavior that I learned, I think as a result of having grown up down there, some of the things that I like internalized about myself,” Holland tells theGrio. “Even this feeling of like not being enough, not being good enough you know, that I think that that’s something that I definitely feel and show when I’m when I’m at home. Holland and McCraney’s new movie High Flying Bird is available on Netflix now. Check out the trailer below.